"King's Arm Highway Deluxe (version 2)"
* See notes toward bottom of this page for what's been changed with version 2. * Please note: If you got a previous version of the King's Arm Highway Deluxe route and would like to receive this current version (v2), see instructions at the bottom of this page. * Please Note: If you already owned Train-Simulator 2012 and if it was automatically upgraded to Train-Simulator 2013 for you, then this King's Arm Highway Deluxe route-addon should work without any additional requirements. However, if you are an owner of Train-Simulator 2013, but you did NOT have Train-Simulator 2012 previously installed, then please be aware that the "default" assets included with Train-Simulator 2013 has been changed. 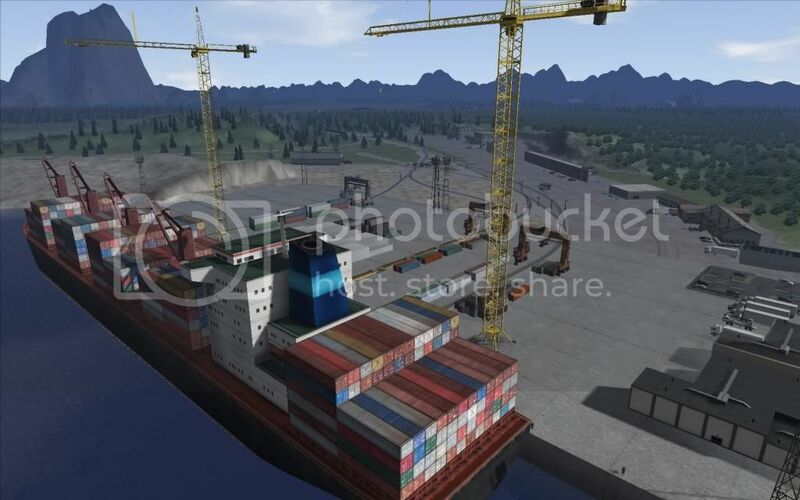 In this case, you may need to buy and download/install the US Community Asset Pack and the European Community Asset Pack separately for your Train-Simulator 2013 installation for this King's Arm Highway Deluxe route-addon and included scenarios to work properly. King's Arm Highway Deluxe is a fictional train-route that journeys through a variety of scenic landscapes and areas to explore; including a Ship-Yard, Container-Yard, Coal-Yard, Grainery, Farm Lands, Urban, Rural, Mountains, Forests and Rivers. The overall route's track-network covers approximately 24+ miles. This route also includes working container-cranes you can operate to load or unload container-train-cars, diesel and coal points for refuelling engines, coal & grain loaders and pits for loading or unloading train-hoppers accordingly, and rotating turn-tables for engines to change-over to an adjoining track or to change cab-facing direction. This route includes 17 immersive Standard-Scenarios, and 7 Freeroam-Scenarios (plus an optional, and free, bonus "Snowplow Scenario Pack" addon is available: Click Here for info about the Snowplow Scenario Pack). 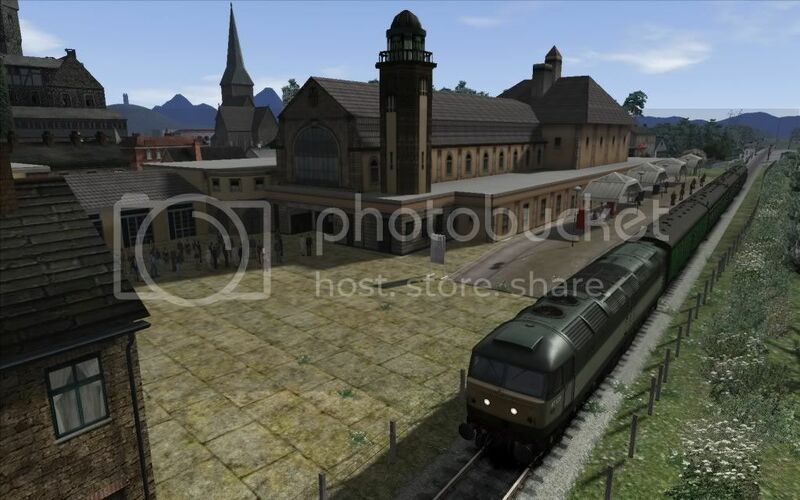 The scenarios make good use of different trains to drive (Diesel & Steam, North-American, UK and German) for doing the various activities, along with a variety of Seasons, Weather, Day & Night conditions (with some scenarios making good use of Train-Simulator's TSX enhanced lighting and weather effects). * The Addon file will be made available to you for download after completing the transaction. After the transaction is complete, within a few minutes you should be sent an email reciept from PayPal (so please use a valid email address when filling-in your details for the transaction), and you should also be directed to a download page immediately after the transaction is complete. The download page will have a link to the addon file you can download and save file to your computer. If encountering any problems with the download (or if you did not get directed to the download page) after completing the transaction, please email me at don@rryard.com , and I'll reply as soon as possible. 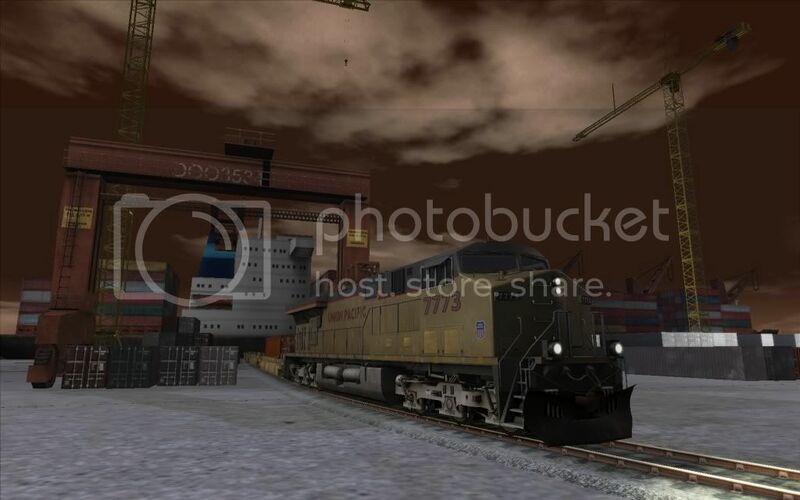 * The download file for this addon is packaged in standard "zip" format, so after downloading to your computer just un-zip it first, then please read the "ReadMe(Install_Info_EULA)" text file that comes with the pack for more complete instructions for installing into your RailWorks3/Train-Simulator2012 program and other related information for this addon. * Most versions of Windows already come with a utility than can "unzip" files that are in a standard "zip" format. IZarc or 7Zip (clicking on one of those links will open-up a new browser-window). * Transaction is handled via PayPal. If you don't have a PayPal account, you can still buy this scenario-pack addon with a Credit Card or some Bank-Cards. Just follow the instructions that reads "Don't have a PayPal account?" on the page that will appear after clicking the Buy Now button above. If you prefer not to buy through PayPal, contact me via email and I may have some other options available to suggest. Here's a little sneak-peek video I put together of my route in action. A view of the Shipping Yard area. Early morning dawn approaches at King's Shipping Yard. Picking up some passengers at King's Market Station. A couple of engines in the Container-Yard shed on a snowy winter's day. Some of the houses and scenery at the King's Reach area. An engine using the King's Container Yard Turn-Table. It's a rainy stormy spring morning. 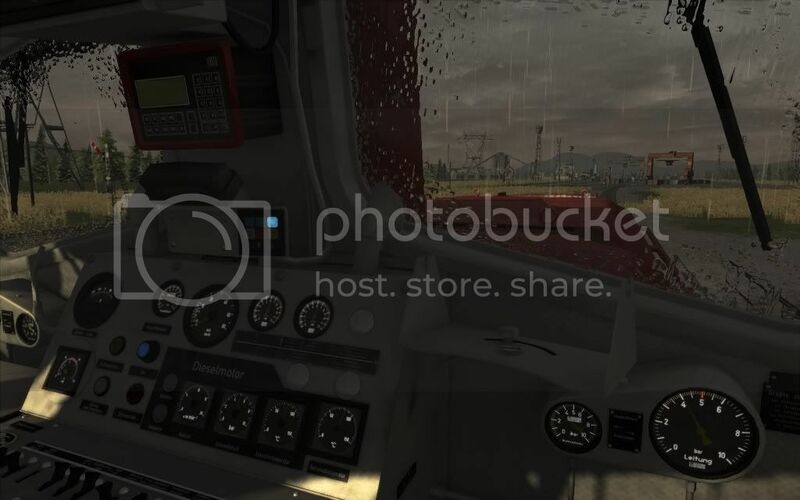 A view from inside the cab while on the Turn-Table. King's Container Yard off in the distance. * Fixed the scenario "Overtime" as there was a possible SPAD error that could occur in that scenario when backing-up to pick-up the train near the King's Market area. * Fixed some various "floating scenery" objects that appeared on this route with the upgrade to Train-Simulator-2013. * Three new standard-scenarios have been added with KAHD v2 which now makes for a total of 17 standard-scenarios that come included with this route addon. * Standard-scenarios have been renamed in sequential order. * The "ReadMe" file has been updated with KAHD v2. * Please note: If you got a previous version of the King's Arm Highway Deluxe (KAHD) route and would like to receive this current version (v2), then please send an email to me at the following email-address: lonewolfdon@gmail.com , and state that you would like to receive KAHD v2 along with the following information used for when you originally got the King's Arm Highway Deluxe route addon: Your first and last name, your email address used and where (what website) did you get the King's Arm Highway Deluxe route addon from. I will then send you a reply email as soon as I'm able to with instructions of where you can get version 2 (v2) of this route. This updated version (v2) is free if you already owned a previous version of the King's Arm Highway Deluxe route. Cheers! :) ---Don.